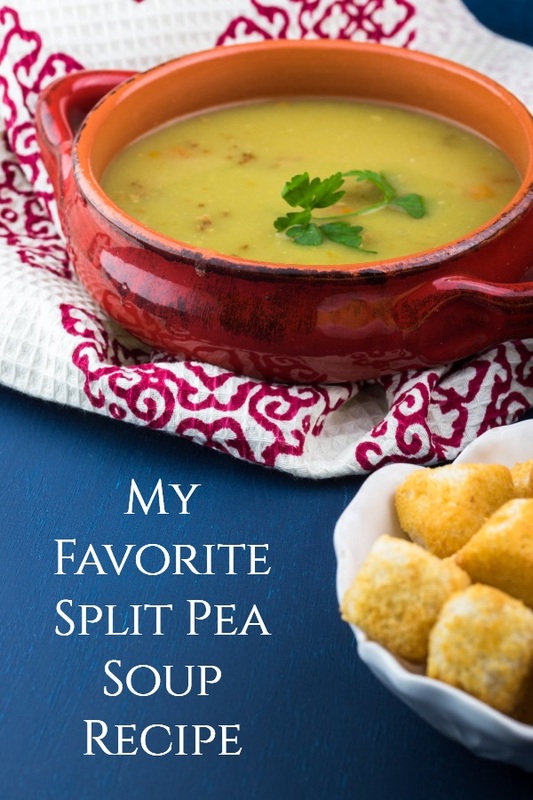 When it comes to making homemade soup, it doesn’t get much easier than this simple split pea soup recipe, or more frugal. 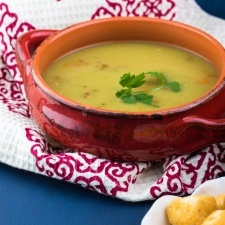 The soup is made from dried peas with just a handful of ingredients. It comes together quickly and always tastes great. The end result is a filling soup that’s great for lunch or dinner. Use the recipe below as a starting point and feel free to add to it. If you happen to have a carrot sitting in the fridge waiting to be used, chop it up, cook it with the onion and add it to the soup. If you have a bit of leftover ham, toss it in there. It will give the soup a bit of extra flavor. If you find yourself with leftovers (doesn’t happen around here), you can store them in the fridge for a day or two. The split pea soup also freezes well. First heat the oil in a large pot over medium heat. Saute the onion and garlic in the fat until they are tender and fragrant. Be careful not to burn the garlic. Next add the water, salt and split peas. Stir it up and bring it to a boil. Reduce the heat to medium low. Cover the pot with a lid or handy pizza pan. Allow it to simmer on the back of the stove for about two hours. The split peas will disintegrate, forming a nice thick stew. You may need to thin the soup out with a little water if it gets too thick. 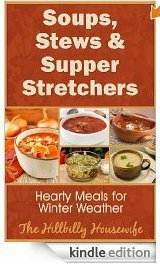 Serve the soup hot with a nice crusty bread or whole wheat muffins. If you like you may add a couple of chopped carrots and a few chopped celery stalks for flavor during the last hour of cooking. This soup is very hearty, and is made without stock or milk. Serves about 6, the recipe is easily doubled for company. This is a great frugal dish, as is this taco style lentils and rice recipe. Of course you can find more bean recipes here.